Style is up to the individual. Maybe you think white is the “new black.” Maybe you think good guys really do wear white. Maybe you’re just looking for a way to switch things up. Whatever the case, the Movado Red Label 606246 men’s Museum watch, in all its striking white glory, could very well be the accessory you have been looking for. The Red Label 606246 looks like a photo negative of the traditional, iconic Movado men’s Museum watch. Everything that’s ordinarily black, which is almost everything, is white here. It is unexpected, but it works. This is a watch that could be the optimal topper to an all-white summer time suit, or a splash of brightness when needed. 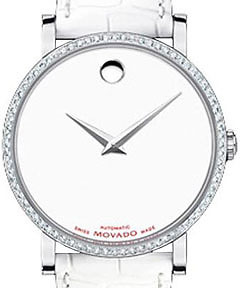 The Red Label 606246 men’s watch has Movado’s blank museum watch face with the high noon dot, both in white. Its stationary steel bezel, rimmed with diamonds, blends in perfectly with its stark surroundings; and the white genuine alligator strap completes the monotone, but not boring, look. The only bit of color on the dial is a small Movado logo in red at 6 o’clock. 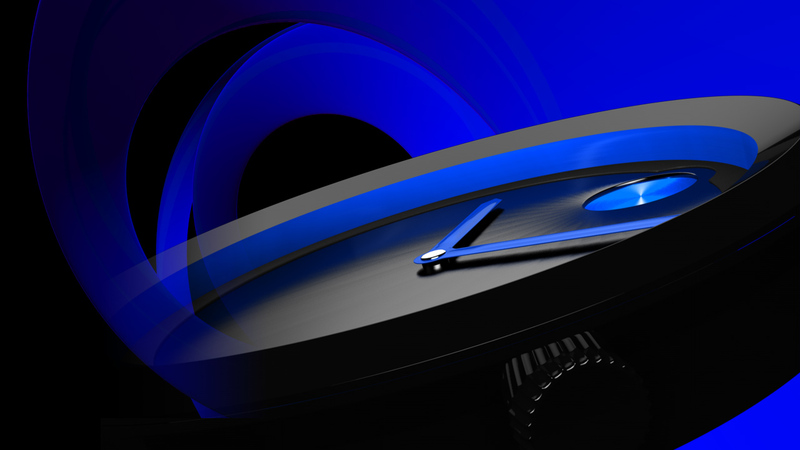 The watch has a scratch resistant sapphire window, automatic winding and Swiss quartz movement. It is water resistant to 30 meters.